Ghostwriter services go hand in hand with SEO services. As explained in part 1 of this article, SEO stands for search engine optimization. In the simplest terms possible, SEO means fine tuning your website to the needs of search engines so that you can attract traffic from them, convert the traffic to potential customers and eventually make profits from customers who buy your products. Also, if your website has adsense ads on them, some of the people that visit your will click some of them and you will be able to earn money. One of the major parts of SEO is generating content. Ghostwriters are good at this. They will generate content for your website based on keywords. 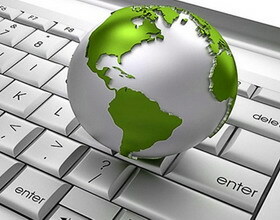 Keywords are the words that people type in the search boxes of search engines like Google, Yahoo, MSN etc. It is very important that your website has content because if it doesn’t, then it will never do well on them. One thing one has to realize about search engines is that they favor the people that use it. Whenever anyone is going to use the search engines, they are looking for information. There is something that they are looking for and are depending on search engines to provide them with that. This is why the websites with most information will appear top in search engines. You can do your own research and you will find out that the top websites that appear in search results have a lot of information on certain keywords. This is why Kenyan websites should get content for their websites. It is also at this point that ghostwriters come in. Ghostwriters are experienced in generating content very quickly. They can give you up to 20 articles of 250+ words in a day. It is quite obvious they will not do this for free but it is worth it as they will get your site to the top of search engine results using certain keyword phrases.